This Moonimaa Lounge, Male and transfer to Park Hyatt Maldives post is part of our recent return trip to the Maldives. Visiting the Maldives? 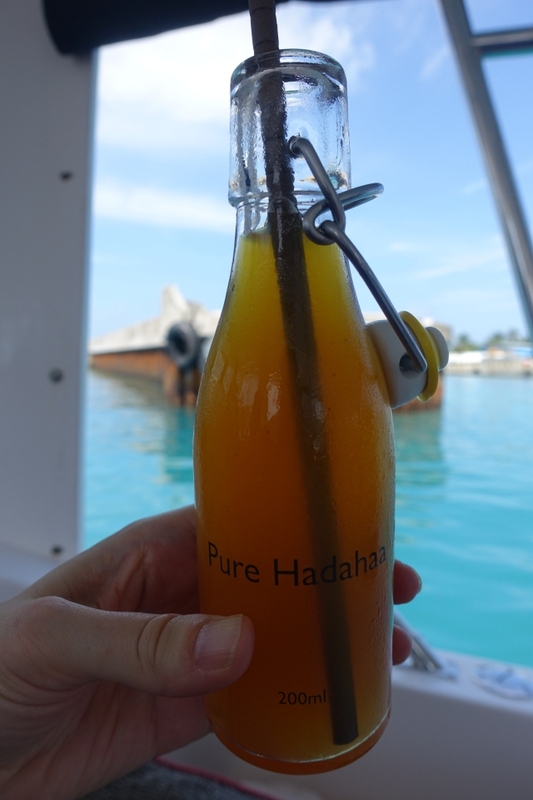 To date, we've stayed at 6 different Maldives luxury resorts–see our posts tagged Maldives. Unless you happen to live relatively nearby, say in Sri Lanka, Southeast Asia or the Middle East, it’s a fairly long flight to the Maldives. 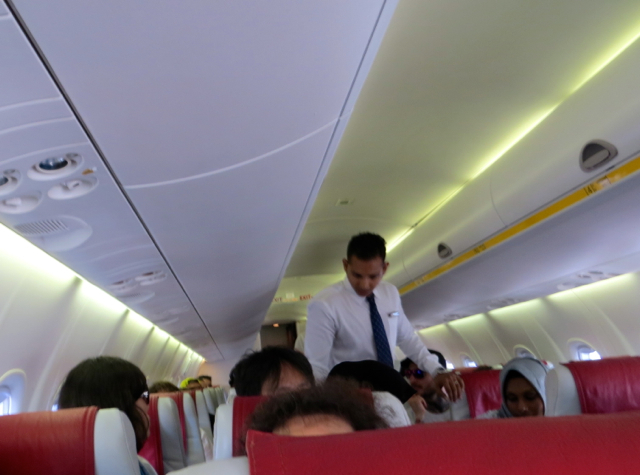 And even once you arrive in Male, it’s likely to take another 4-5 hours to get to the Park Hyatt Maldives, what with the wait for the domestic flight to Kooddoo, the 1 hour flight, and the speedboat to the island. 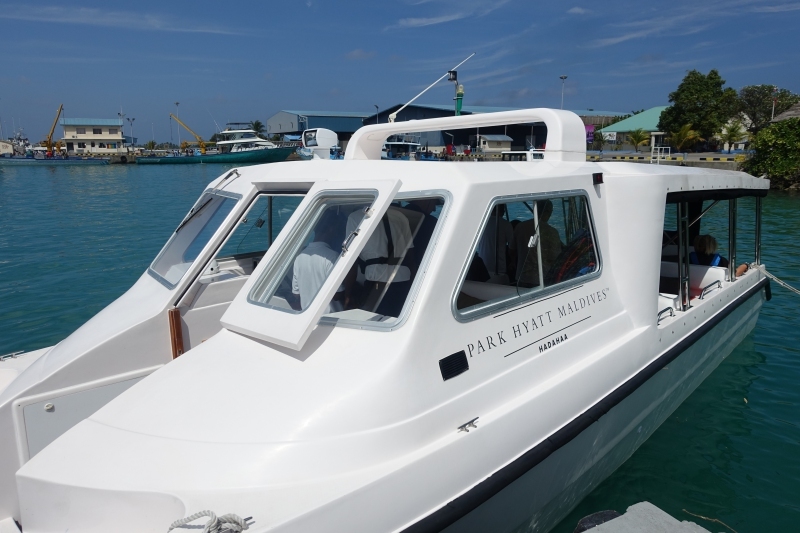 Since the transfer to the Park Hyatt Maldives involves a plane flight on Maldivian (not a seaplane flight) guests depart from the Male domestic terminal. 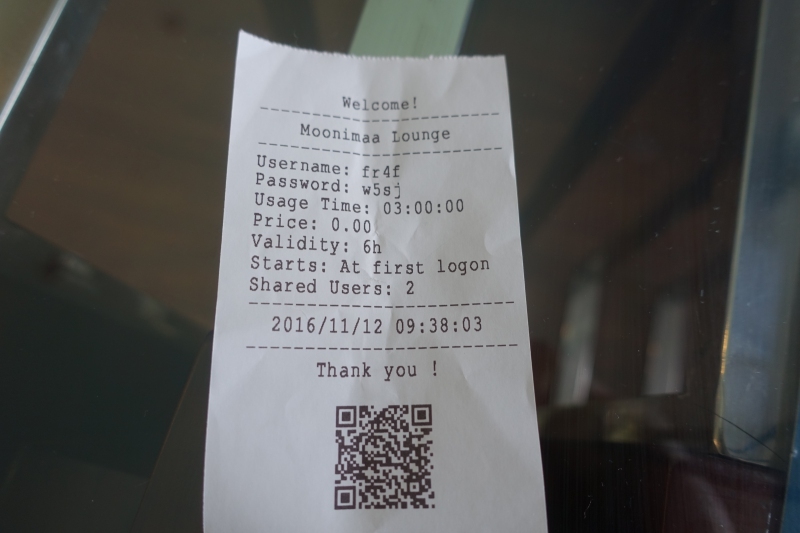 The lounge last time was truly bare bones, so the good news is that the Moonimaa Lounge has opened and is better than the previous lounge. The bad news is that while quite large, it's not as nice as, say, the Four Seasons Lounge, or Cheval Blanc Randheli Lounge. 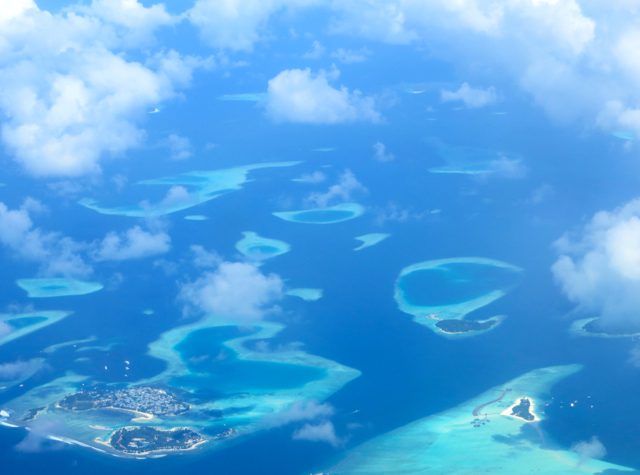 After arriving on your international flight into Male, you'll clear immigration, collect your luggage, and meet the Park Hyatt Maldives representative in the arrivals area. 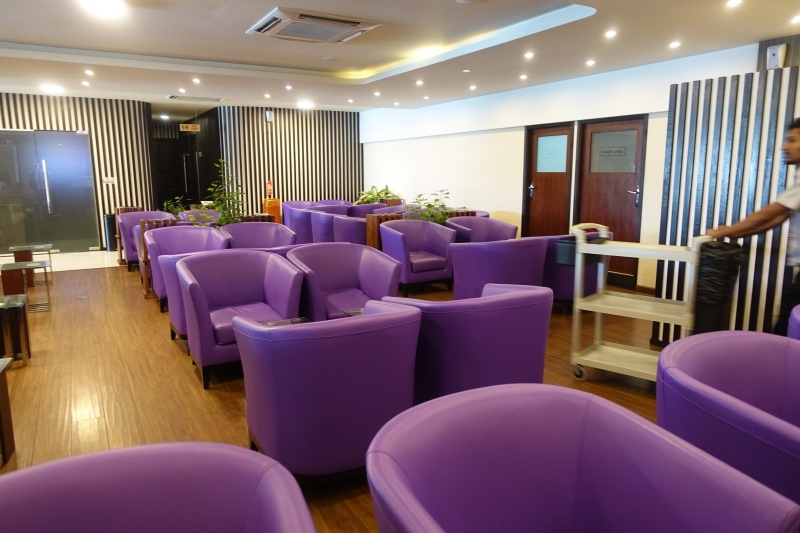 He'll accompany you to the domestic terminal, a short walk away, and take care of checking you in and getting your tickets for the Maldivian flight to Kooddoo. Since these are small planes, you'll need to check any large bags. We received a WiFi slip with password. I found the WiFi very slow, but perhaps it was an anomaly. Near the bathrooms there's the Serenity Spa, which was offering massages at $1.50 per minute. I didn't see anyone in the spa however during our nearly 1 hour stay, even though the lounge was quite busy. 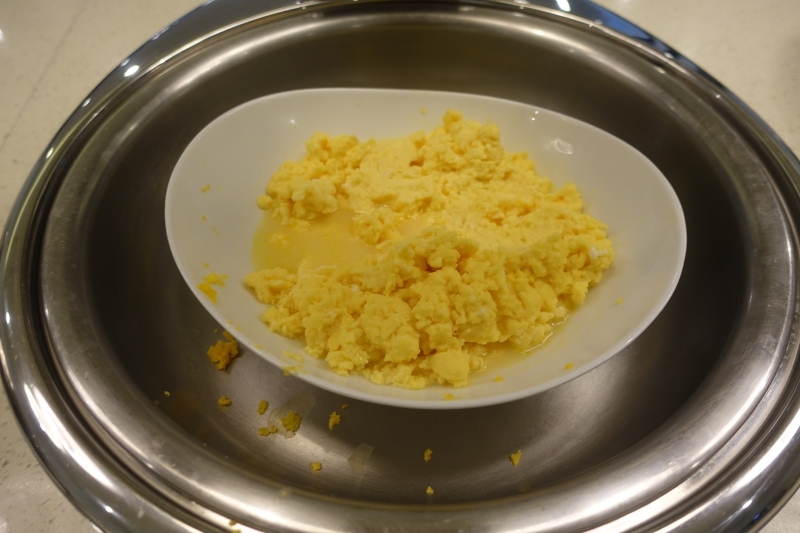 There were mediocre looking muffins, breads and pastries and there was fruit salad and yogurt (again, mediocre in quality, but in my view the best thing offered in the lounge–which perhaps explains why it was in short supply and not replenished). 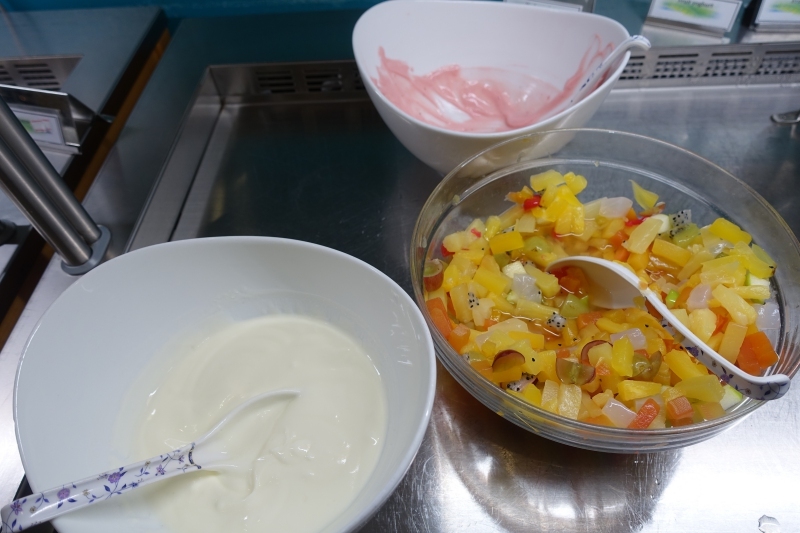 There was also some cereal, juices, coffee and tea (Dilmah brand). The Park Hyatt Maldives representative came to collect us before our flight to Kooddoo, escorting us to security, where he said goodbye. After security we passed into the gate waiting area for domestic flights on Maldivian. Although our flight was scheduled for 11:10, it was actually close to 11:40am by the time we boarded. Our son actually fell asleep stretched out on the metal chairs, he was so exhausted. 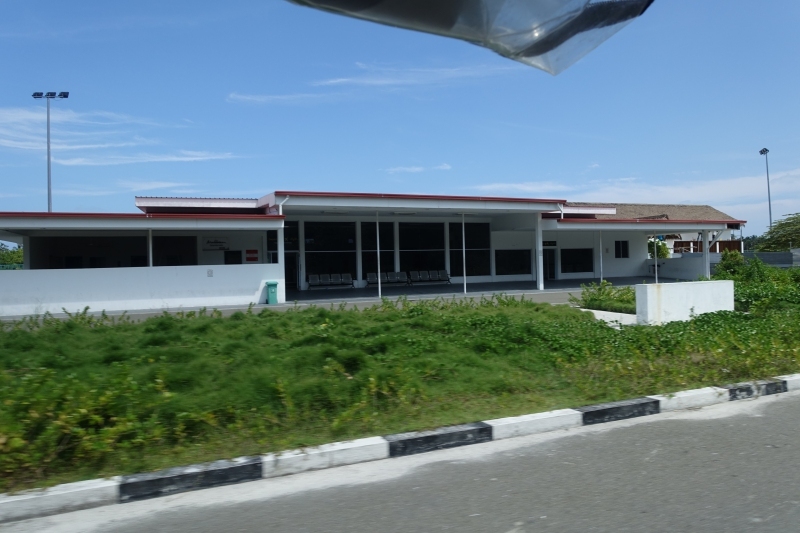 After arriving in Kooddoo, there was a 20-25 minute wait for our luggage to be unloaded on to a cart and manually pushed by several men to the luggage collection area, which was stifling hot. 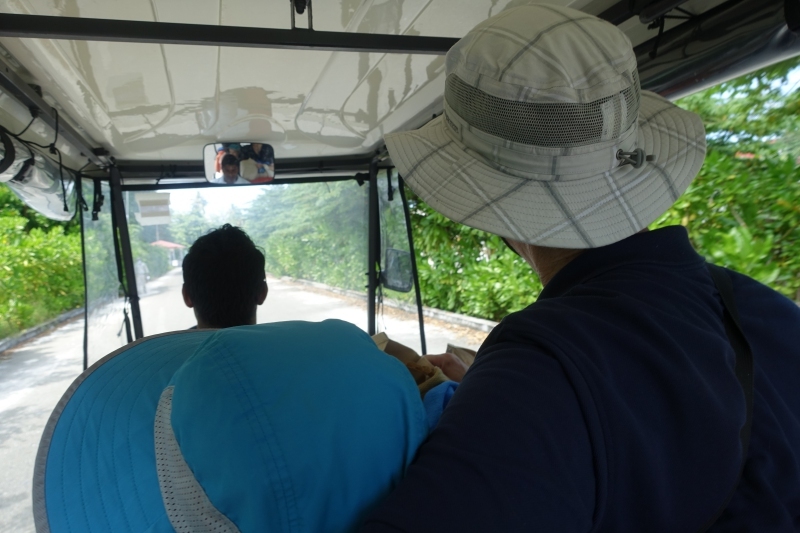 We were met by some Park Hyatt Maldives representatives, who took the luggage first to the boat, although there was a lack of vehicles so we waited for about 25 minutes after the wait for our baggage before a golf buggy finally arrived to take us to the speedboat. 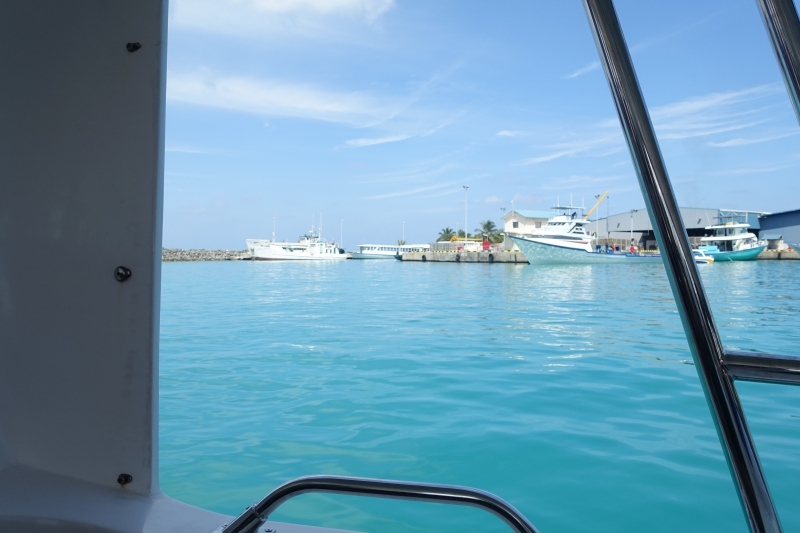 Once on the speedboat, things were more pleasant, especially since it was calm that day and the movement of the boat made for a nice breeze. I enjoyed the mango iced tea, although my son didn't like it because of the tea taste. 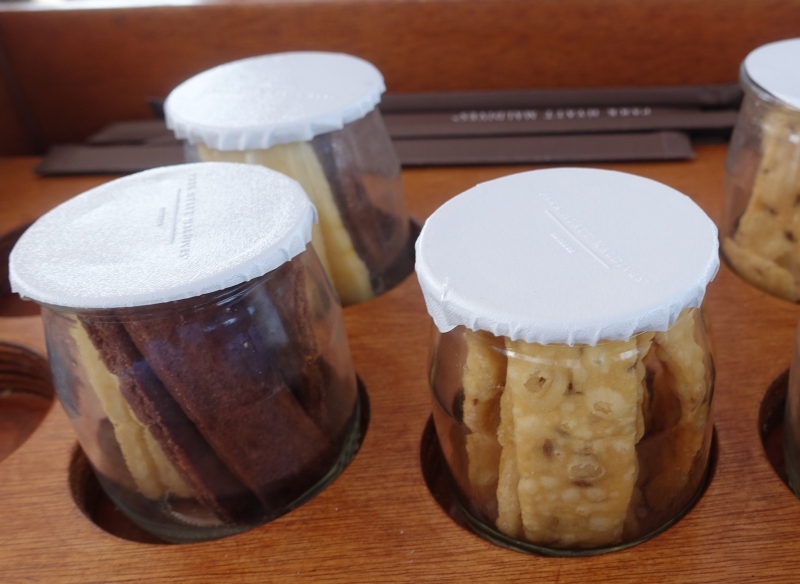 There were also Park Hyatt-made cookies and crackers to snack on. 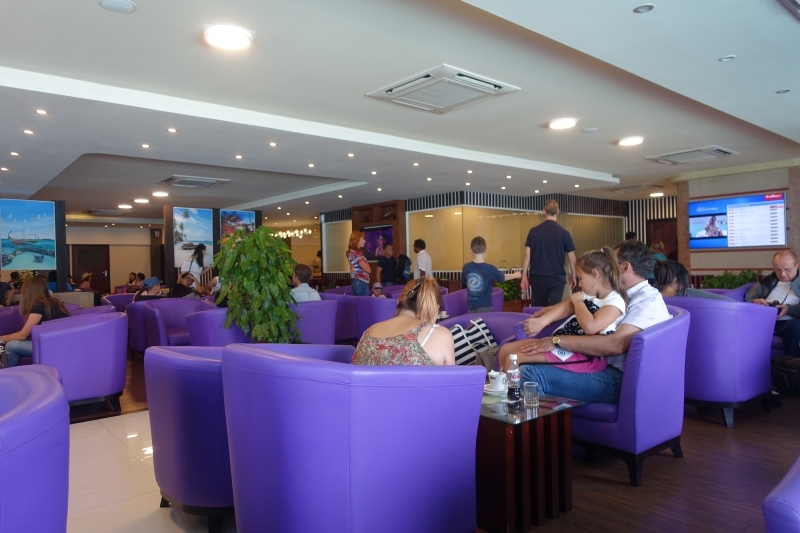 The Moonimaa Lounge is relatively new, and there’s ample seating, although the lounge is far from luxurious. 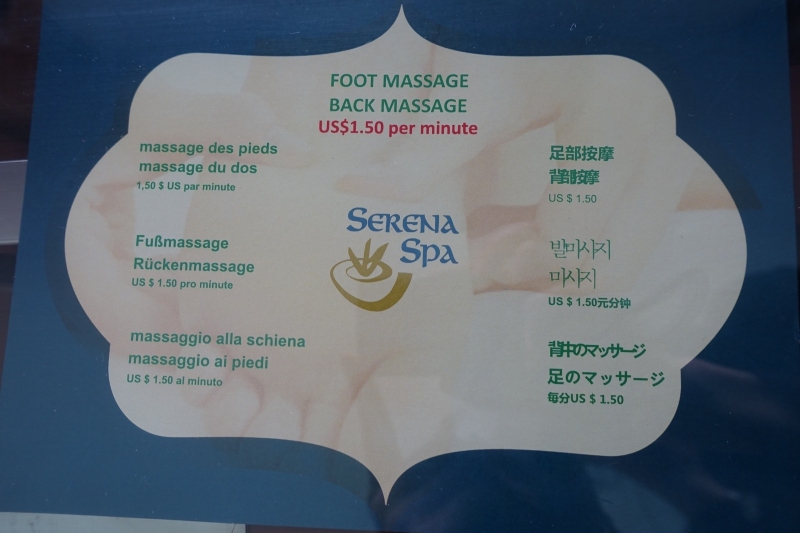 There is a Serenity Spa, although at rather steep prices, and I didn’t see anyone use it during our 1 hour or so in the lounge. 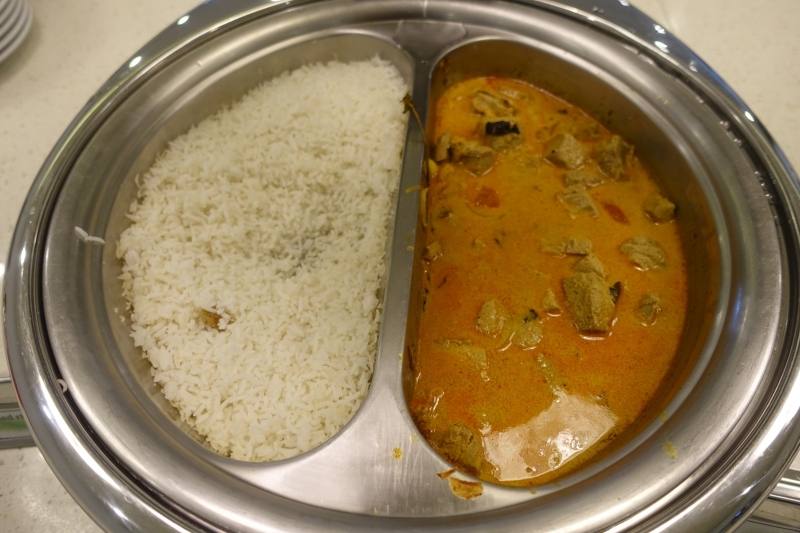 If you’re hungry, there’s ample food, with mostly Western breakfast options of scrambled eggs, cereal, bread and pastries, fruit salad and a little yogurt, although the yogurt was in short supply. 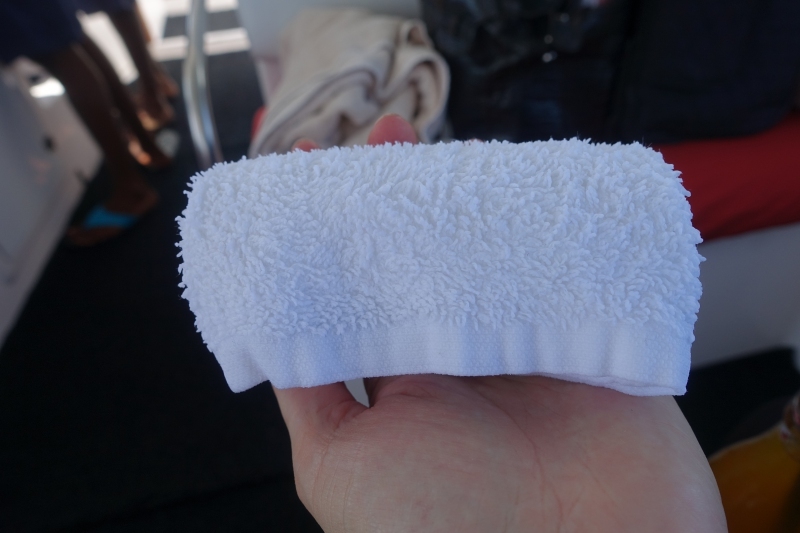 The quality isn’t very high, so I’d suggest waiting until you get to the resort. There was a fair amount of waiting around, both after we left the lounge and were in the gate area, with our Kooddoo flight leaving about 30 minutes after its scheduled time. Likewise we waited over 20 minutes for our luggage to be unloaded from the plane in Kooddoo, and another 20-25 minutes after that for the transfer to the speedboat, as the luggage had to be taken first. Obviously the Park Hyatt Maldives can’t control the exact time the Kooddoo flight departs or how long it takes for luggage to be unloaded in Kooddoo, but it would be nice if there was better communication by Maldivian Air with the Park Hyatt representative in Male, as we’d have preferred to be in the lounge given the delay with our departing flight. The 20-25 minute wait from retrieving our luggage to when we were transferred to the speedboat also seems as though it could have been avoided, by having more transport available. It's also only fair to mention that the return speedboat ride from the Park Hyatt Maldives to Koodhoo wasn't anywhere near as nice as the outbound journey, both in terms of the boat ride (very bumpy–my son and I definitely needed our anti-nausea wristbands) and no drinks, refreshments or cool towels provided. If you've recently been in the Moonimaa Lounge or transferred between Male and the Park Hyatt Maldives, what was your experience? Become a TravelSort Client and Book the Park Hyatt Maldives with Virtuoso Benefits!